Mr. T. Michael Nevens joined Ciena as a Director in February 2014. Since 2006, Mr. Nevens has served as senior adviser to Permira Advisers, LLC, an international private equity fund. From 1980 to 2002, Mr. Nevens held various leadership positions at McKinsey & Co., most recently as a director (senior partner) and as managing partner of the firm’s Global Technology Practice. He also served on the board of the McKinsey Global Institute, which conducts research on economic and policy issues. Mr. Nevens received a B.S. in Physics from the University of Notre Dame and a Master of Science in Industrial Administration from the Krannert School of Management at Purdue University, where he was designated a Krannert Scholar. Mr. Nevens is a member of the Advisory Council of the Mendoza College of Business at the University of Notre Dame, where he has been an adjunct professor of Corporate Governance and Strategy. Mr. Nevens also serves on the board of directors of NetApp, Inc. and Altera Corporation. 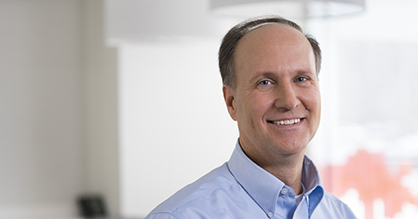 Patrick H. Nettles, Ph.D. has served as Ciena's executive chairman of the board of directors since May 2001. Dr. Nettles previously served as the Company's chairman of the board of directors and chief executive officer since October 2000. From April 1994 until October 2000, Dr. Nettles served as president, chief executive officer and director of the Company, and as director and chief executive officer from February until April 1994. From 1992 until 1994, Dr. Nettles was the executive vice president and chief operating officer of Blyth Holdings Inc., a publicly-held supplier of client/server software. From late 1990 through 1992, Dr. Nettles was president and chief executive officer of Protocol Engines Inc., a development stage enterprise, formed as an outgrowth of Silicon Graphics Inc., and targeted toward very large scale integration based solutions for high-performance computer networking. From 1989 to 1990, Dr. Nettles was chief financial officer of Optilink, a venture start-up that was acquired by DSC Communications. Dr. Nettles is a Trustee for the California Institute of Technology. Dr. Nettles also serves on the board of directors of Axcelis Technologies, Inc., The Progressive Corporation and Apptrigger, Inc., a privately held company. Gary B. Smith began serving as Chief Executive Officer of Ciena in May 2001, in addition to his existing responsibilities as President and Director, positions he has held since October 2000. Prior to his current role, his positions with the Company included: Chief Operating Officer and Senior Vice President, Worldwide Sales. Mr. Smith joined Ciena in November 1997 as Vice President, International Sales. From 1995 through 1997, Mr. Smith served as Vice President of Sales and Marketing for INTELSAT. He also previously served as Vice President of Sales and Marketing for Cray Communications, Inc.
Mr. Smith is a member of President Obama's National Security Telecommunications Advisory Committee, and serves on the board of directors for Avaya Inc. and CommVault Systems, Inc. He is a member of the Wall Street Journal CEO Council, serves on the Wake Forest University Advisory Council for the Center for Innovation, Creativity and Entrepreneurship, and participates in initiatives with the Center for Corporate Innovation. Mr. Smith received his M.B.A. from Ashridge Management College, United Kingdom. Bruce Claflin has served as a Director of Ciena since August 2006. Mr. Claflin served as President and Chief Executive Officer of 3Com Corporation, a provider of enterprise and small-business networking solutions, from January 2001 until his retirement in February 2006. Mr. Claflin joined 3Com as President and Chief Operating Officer in August 1998. Prior to 3Com, Mr. Claflin served as Senior Vice President and General Manager, Sales and Marketing, for Digital Equipment Corporation. Mr. Claflin also worked for 22 years at IBM, where he held various sales, marketing and management positions, including general manager of IBM PC Company’s worldwide research and development, product and brand management, as well as president of IBM PC Company Americas. Mr. Claflin received his bachelor of arts degree in political science from Pennsylvania State University. Mr. Claflin also serves on the board of directors of Advances Micro Devices (AMD) where he is currently Chairman of the Board. Lawton W. Fitt has served as a Director of Ciena since November 2000. From October 2002 to March 2005, Ms. Fitt served as Director of the Royal Academy of Arts in London. From 1979 to October 2002, Ms. Fitt was an investment banker with Goldman Sachs & Co., where she was a partner from 1994, and a managing director from 1996 to October 2002. Ms. Fitt holds a bachelor of arts degree from Brown University and a M.B.A. degree from the Darden School of Business at the University of Virginia. Ms. Fitt also serves on the board of directors of Thomson Reuters, The Carlyle Group, L.P., and The Progressive Corporation. Patrick T. Gallagher joined Ciena as a Director in May 2009. From January 2008 until February 2009, Mr. Gallagher was Chairman of Macro 4 plc, a global software solutions company, and from May 2006 until March 2008, served as Vice Chairman of Golden Telecom Inc., a leading facilities-based provider of integrated communications in Russia and the CIS. From 2003 until 2005, Mr. Gallagher was Executive Vice Chairman and served as Chief Executive Officer of FLAG Telecom Group and, prior to that role, held various senior management positions at British Telecom. Mr. Gallagher also serves on the board of directors of Harmonic Inc. and Sollers JSC. He holds a Bachelor of Arts degree in Economics, with honors, from Warwick University. Judith M. O’Brien has served as a Director of Ciena since July 2000. Since November 2012, Ms. O'Brien has served as a partner and head of the Emerging Company Practice Group at the law firm of King & Spalding. From November 2006 through December 2010, Ms. O’Brien served as executive vice president and general counsel of Obopay, Inc., a provider of mobile payment services. From February 2001 until October 2006, Ms. O’Brien served as a managing director at Incubic Venture Fund, a venture capital firm. Ms. O’Brien was a lawyer with Wilson Sonsini Goodrich & Rosati, where, from February 1984 to February 2001, she was a partner specializing in corporate finance, mergers and acquisitions and general corporate matters. Ms. O’Brien holds a bachelor of arts degree from Smith College and a J.D. degree from University of California School of Law at Los Angeles. Michael J. Rowny joined Ciena as a Director in August 2004. Mr. Rowny has been Chairman of Rowny Capital, a private equity firm, since 1999. 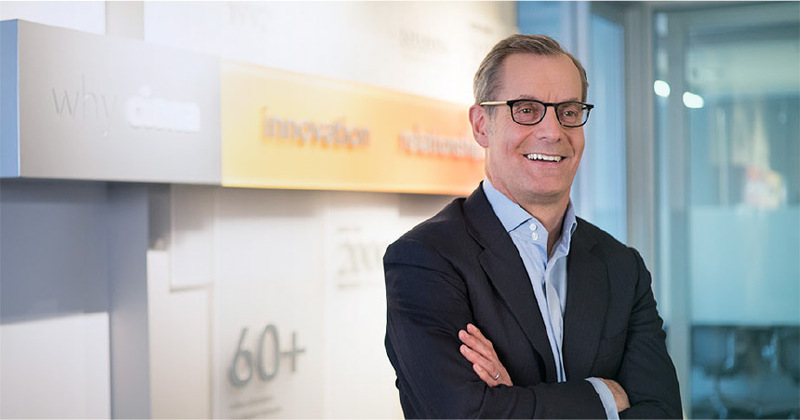 From 1994 to 1999, and previously from 1983 to 1986, he was with MCI Communications in positions including President and CEO of MCI's International Ventures, Alliances and Correspondent group, acting CFO, Senior Vice President of Finance, and Treasurer. His extensive career in business and government included positions as chairman and CEO of the Ransohoff Company, CEO of Hermitage Holding Company, EVP and CFO of ICF Kaiser International, Vice President of the Bendix Corporation, and Deputy Staff Director of The White House. Mr. Rowny holds a bachelor of science degree from M.I.T. and a J.D. degree from Georgetown University Law Center. Mr. Rowny serves on the board of directors of Neustar, Inc and Pixspan, Inc.
Joanne B. Olsen has served as a Director of Ciena since October 2018. Ms. Olsen also serves on the board of directors of Teradata Corporation. From November 2016 to August 2017, Ms. Olsen was the Executive Vice President of Oracle Global Cloud Services and Support. From September 2010 to October 2016, Ms. Olsen served as Senior Vice President and leader of Oracle's applications sales, alliances, and consulting organizations in North America. Previously, during a 31-year tenure at IBM, Ms. Olsen held various executive management positions in sales, global financing and hardware. She began her career with Oracle as a systems analyst in 1979. Ms. Olsen holds a Bachelor of Arts degree in Mathematics, Economics and Accounting from East Stroudsburg University.